Rock chips and small cracks in the glass can spread into long nasty cracks that are not repairable. Do not wait if you have nicks or stars in the windshield – get them fixed asap. RV windshield replacement is not cheap or easy. 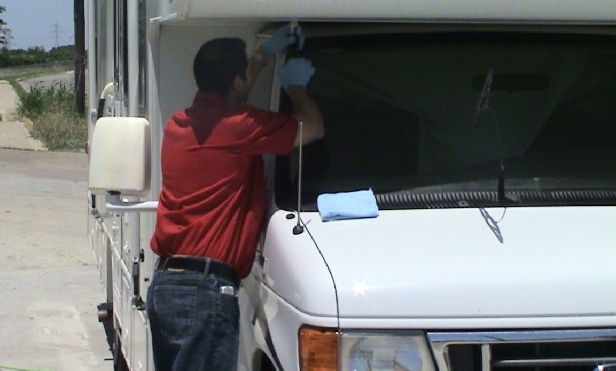 Our team of certified experts have been repairing RV windshields for over 20 years. The Alfa Auto Glass offers the best high quality RV windshield repair to be found anywhere. We use the best resins and materials to perform every RV windshield repair we come across. Small cracks can be taken care of, but once they reach a certain size there is nothing anyone can do. Feel free to call us for more info.